Every civilization borrows from others in order to develop. 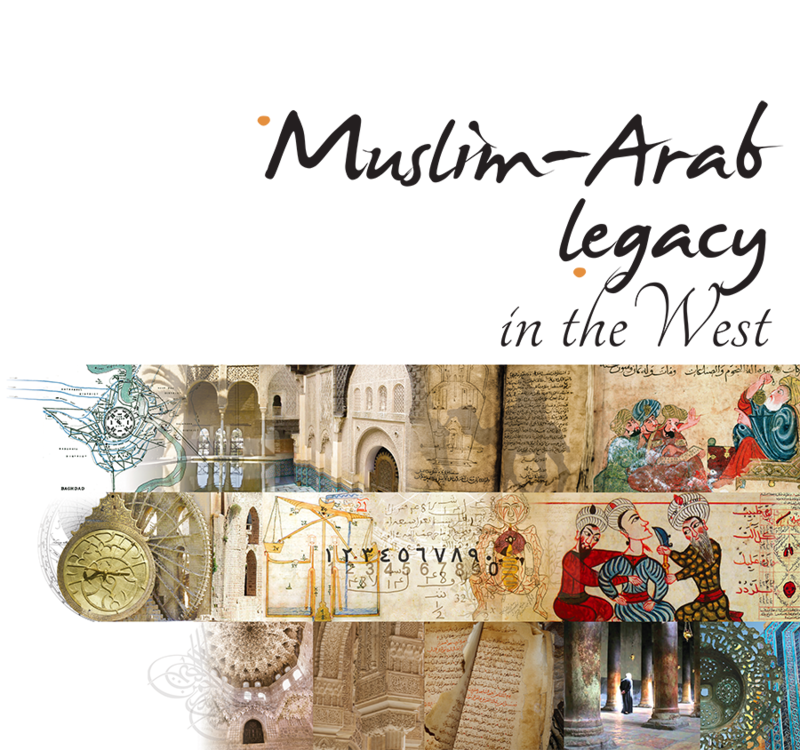 The West is no exception: for several centuries it gradually absorbed the great legacy of Muslim-Arab civilization. The phrase “Muslim-Arab civilization in the West” refers to a dual transmission: first of the learning and philosophy of the ancient world, especially Greece, that was preserved in texts translated into Arabic, and then of this learning, transformed and supplemented by Muslim-Arab culture. The transfer took place from East to West because there was a huge gap between the West, where access to the learning was confined to a few ideas (only a monastic culture had been maintained), and the East, where scientific and philosophical learning had flourished since the eighth century thanks to a large number of translations. These translations, from Greek, Syriac, Sanskrit and Persian into Arabic, were greatly encouraged by the cultural policy of the Abbasids of Baghdad (750-1258), especially between 750 and 833. The initial impetus was given under the caliphates of al-Mansûr, Hârûn ar-Rashîd and above all al-Ma’mun (813-833), who founded the House of Wisdom, a study centre with a library, where books from the conquered territories were collected and scholars from every part of the world congregated. A desire to know: In Islam, seeking to explain the phenomena around us is to recognize the magnificence of God’s work, and to try to understand the divine message. There is therefore no contradiction between faith and scientific research. An appropriation of knowledge: The Muslim-Arab contribution has too often been reduced to the role of custodian and purveyor of ancient texts to the West, thus contributing to the birth of the Renaissance; at best that of translator. In fact, Muslim-Arab civilization appropriated Mesopotamian, Persian, Indian and Greek learning. We inherited from its new perspective on that learning the openings towards modern science, scientific method, abstract mathematical reasoning, enhanced technologies and a completely new relationship with the living world. In the eighth century, Arabic became the language of culture. Scholars developed a new philosophical and scientific vocabulary borrowed from Greek, Syriac and Pehlevi. This is why in the history of the culture we refer to as Arab, the language was the main vector. At that time, the golden age of the Muslim-Arab Empire, the world spoke Arabic, and Baghdad, its capital, was the centre of the world. Around the year 1000, new centres of learning were flourishing in the Christian West and there was increasing interest in the learning the Muslims had developed. 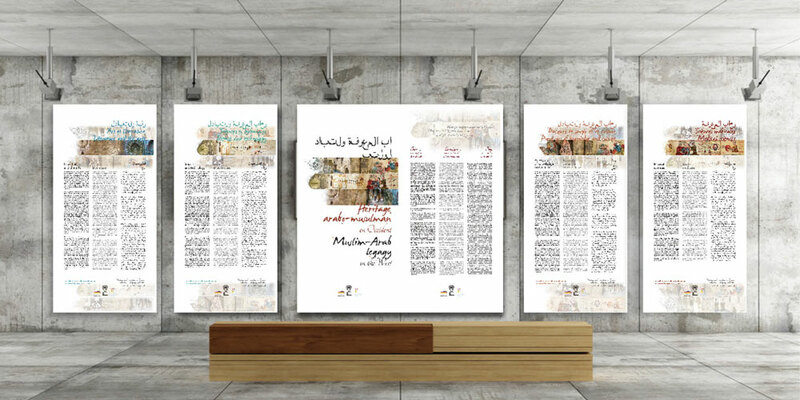 In the libraries of the Arab world, Christian intellectuals and thinkers were to find a philosophy, a new system explaining the world, and scientific references. The transfer was a deliberate act of appropriation, first by the Arabs and then, through painstaking reconstruction, by the Latins. As a global introduction, we invite you to watch the BBC 4 “Sciences and Islam” documentary by Physicist Jim Al-Khalili who travels through Syria, Iran, Tunisia and Spain to tell the story of the great leap in scientific knowledge that took place in the Islamic world between the 8th and 14th centuries. You can also, further down, browse this site by subject.